Asbestos is the biggest work place killer today. Those who have worked with asbestos or who are regularly in contact with someone who has are at risk from asbestosis, lung cancer and mesothelioma. All these are fatal respiratory diseases which are extremely difficult to cure. 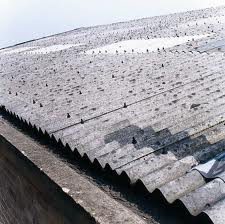 One rare disease caused by asbestos which is becoming increasingly common is mesothelioma. Although unknown by many today, it is almost certain that awareness of this disease will be broadcasted worldwide because of its increasing occurrence in men aged between 55 and 70. Many of these men are now lodging multi million dollar lawsuits against the companies who subjected them to asbestos. Those most at risk from mesothelioma are those who have been in regular contact with asbestos dust and fibres without sufficient protection. Just a couple of months of exposure to asbestos can lead to mesothelioma 30 years later. The latency period (amount of time the disease takes to start taking effect) of mesothelioma is 30 - 50 years which is one of the reasons it is so difficult to cure because it is very difficult to tackle in its early stages. Another reason it is so difficult to cure is that its early symptoms are characteristic of many other more common diseases such as pneumonia.